As the boosting of sales volume, you might start to consider plastic injection molding for your larger volume manufacturing. Before moving forward to this process, you need to take the following 4 things into consideration first. Above all, sales volume is key factor that determine your future plan and choosing production method. If your sales volume is still in struggling, we will suggest other production method such as rapid prototyping for saving your tooling cost. When your sales volume up to 100 or even more parts, we can start with the Injection Mold Tooling and Low Volume Injection Molding. As an investor, you have a budget for your product. As a consumer, people want to buy the thing in most effective way. The same theory for tooling, you need to find a good quality rapid tooling and plastic injection molding supplier to meet your budget. The supplier such as TEAM Rapid, we always provide the best solution to help costumer save cost and lead time. The application of your end product is important, it depends if plastic injection molding is suitable for your larger volume production. While plastics are an amazing material used to save time, money and lives with increased sterilization, they are not always appropriate for every project. You need to check before going ahead. It takes time for building a plastic mold. If you have a tight timeframe, you can consider with the rapid tooling, it is really fast and can volume up to 100,000 parts. If you have a larger volume more than 100,000 parts, you can consider the production mold, but it will take longer tool building time. Are you working on the next injection molding project? 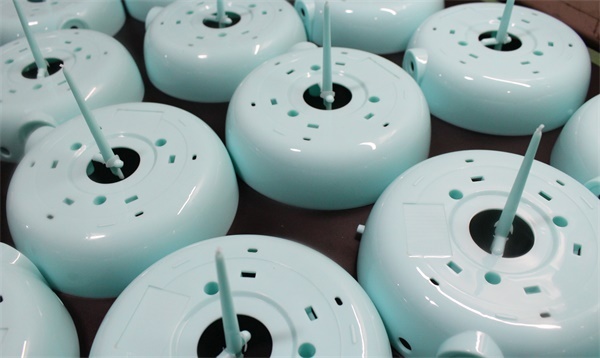 TEAM Rapid is a professional tool maker and injection molding manufacturer, with our mold quality guarantee and 98% customer retention, we’re the perfect plastic part manufacturer for your product development needs. Contact our expert time at sales@teamrapidtooling.com , we will provide a best solution to you.